Square Enix has dropped two massive bombs for the Just Cause franchise. 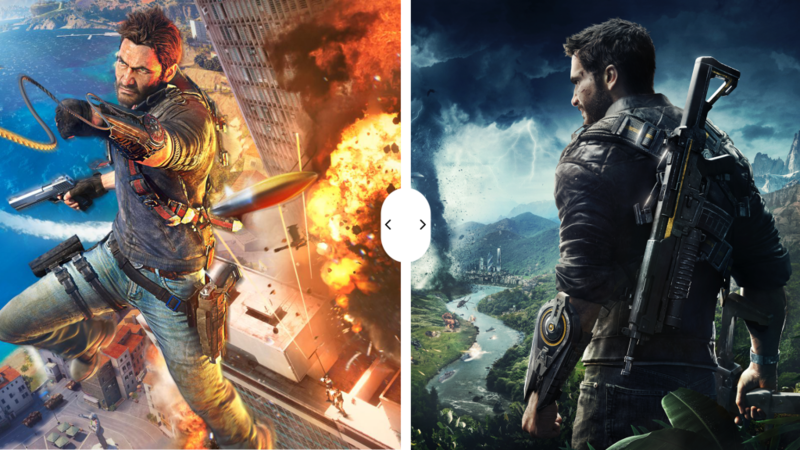 Just Cause 3 and Just Cause 4 are very ambitious games which definitely set the stage for its fans. The question is; which is better? The story mode for both games certainly takes you on an adventure. The underlying principle is the same, you go around destroying an evil dictators’ plans base by base until he has nothing left. All while traversing to the very ends of your vast and scenic playground. Just Cause 4 may have more content in the form of side missions thanks to its whopping 1080 square miles map compared to Just Cause 3’s 400 square miles, yet Just Cause 3’s campaign is surprisingly longer. After a mere 12 hours of gameplay I had completed Just Cause 4’s campaign. Whereas for Just Cause 3, it took me roughly 19 hours. On top of that, Just Cause 3 has additional DLC’s that you can purchase for a relatively low price, which will add a few more hours of gameplay with each DLC (The bavarium sea heist was my personal favourite). Length aside, Just Cause 3’s story is way more riveting. It takes you on a proper breath-taking rollercoaster. There are many huge turning points in the plot that dominate your emotions. Especially towards the end of the game, the last few missions are certainly devastating and the final boss fight felt so legendary (I mean it took place in a freaking volcano). Just Cause 4’s story on the other hand is extremely plain. Its straightforward and basic plot drastically lessens the impact created by any plot twists because you know a few missions down the line that problem will be solved. Also the ending is absolutely garbage (I will try my best not to spoil it). The storyline felt rushed and incomplete. It was like a first draft to something that should have been revised over at least a few more times. I had so many questions that left me confused and annoyed and all I could do was sit there and wonder as the credits rolled by. Another factor that really irritated me was the fact that the final boss fight was a cutscene, in fact a fair amount of the final mission was just a cutscene. You had no choice but to watch Rico defeat the boss. Honestly speaking, it wasn’t even a fight, It was a 10 second chase, shortly followed by an explosion resulting in the boss’s death. My only advice for people who haven’t beaten the game is; prepare to be dissapointed. Just Cause 3’s graphics are alright, they don’t look bad but they don’t look that great either. A lot of the colors, especially in the towns look quite dull and desaturated. However I didn’t expect much either considering this game was released in December, 2015. Explosions also 100 times look better in Just Cause 4. They’re vibrant and well emphasized. In Just Cause 3 they feel dimmed down and obscured. Optimization is a tough topic to decide a winner for. Sure Just Cause 3 is older so it obviously handles better. I didn’t experience any frame drops, and the game overall ran pretty smooth. I ran it at a constant 130-140 FPS. Just Cause 4 is evidently more graphically demanding so I did experience lower frame rates (90-100 FPS). As of 4/1/19: Square Enix released a new patch for the game which solved my frequent FPS drops so props to them, I can’t complain about that anymore. If story means everything to you, then you should undoubtedly buy Just Cause 3 for its captivating, action packed campaign. Maybe even pick up a few DLC’s while you’re at it. If you don’t really care about the story and would rather aimlessly blow stuff up then Just Cause 4 is probably for you. I am warning you though, before you play it lose all your expectations for its campaign, especially towards the end. I’m still incredibly salty about the ending.